The series stars Penn Badgley as Joe Goldberg, a bookstore manager who stalks, then dates Elizabeth Lail's Guinevere Beck. And then he, well, that'd be a spoiler. But Joe Goldberg is not a good guy. 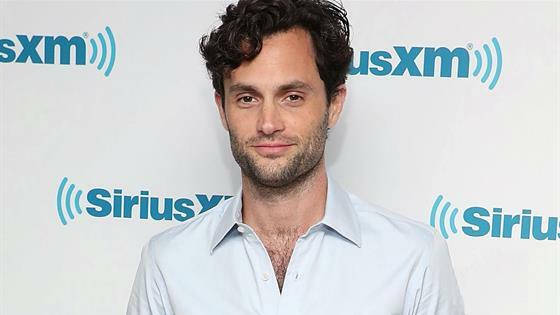 And while we're on the subject, Badgley's Gossip Girl character, Dan Humphrey, also wasn't all that great. After all, he was Gossip Girl the whole time, meaning he did some really messed up s—t to people he loved. But all the dastardly deeds haven't stopped You fans from lusting after Badgley's character. Which…is problematic. And something Badgley has been tackling on his Twitter. He's reading and replying, y'all. "I personally was troubled..." Badgley previously told E! News about the role. "I understood the appeal, but I was really ambivalent. I was really troubled, and that was also what [executive producers Greg Berlanti and Sera Gamble] said was appropriate about me playing him. I remain ambivalent. I'm really questioning why people like Joe so much." "I personally feel it is a bit of a social experiment. It's a litmus test to see the mental gymnastics that we're still willing to perform on a cultural level, to love an evil white man," Badgley told press at the 2018 Television Critics Association press tour ahead of the show's debut. "I'm very curious. I'm not nervous, personally, because we shot it already I suppose. I think it'll certainly add to the conversation and it'll create its own conversation, so I'm looking forward to the response." "'Yeah, but he loves her, but he's sweet, but it's a love story!'" Badgley imagined fans saying to justify their feelings about Joe. "In what world?! I don't believe that's love. I don't think that love equals this, so I think we have to question, what is love, and if we think this is love, where are we mistaken?" Anyway, if you watch You, you'll get it. The series aired its first season on Lifetime, but the network canceled it and Netflix picked it up for a second season, which you may have inspired if you've been thirsty for Joe Goldberg. Congratulations.